With these innovative drops, you can instantly transform your beauty products into powerful skin care treatments, customised to fit the unique, ever-changing needs of your skin. With four blends tailored to specific skin concerns – calming, hydrating, radiance-boosting and anti-ageing – these active, vitamin-rich concentrates can be added to moisturiser, serum, primer, foundation or anywhere you think they’re needed! An innovation in beauty customisation, these active, vitamin-rich concentrates can be used alone or infused into any product in your beauty regime to provide potent skin benefits. 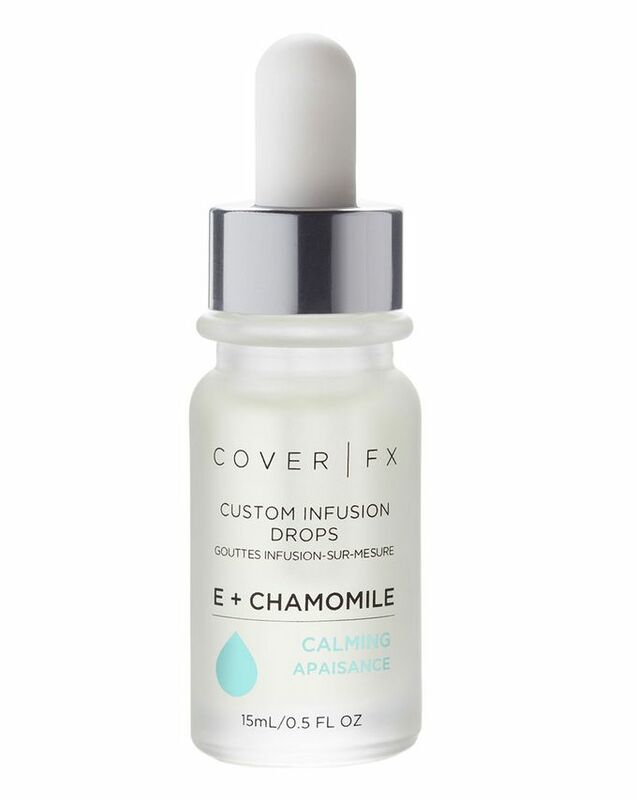 Cover FX’s Custom Infusion Drops are available in four carefully crafted blends, each of which is designed to suit a specific complexion concern. Calming: E + Chamomile features soothing chamomile oil which comforts, soothes and reduces the look of inflammation, while vitamin E acts as a powerful antioxidant that protects against free radical damage; Hydration: F + Neroli is infused with neroli oil and vitamin F to condition, deeply nourish and hydrate skin with sodium hyaluronate; Radiance: C + Lemongrass tones the skin as well as brightening and protecting from free radical damage; Anti-aging: A + Jasmine is powered by vitamin A and jasmine oil to support cell turnover, hydrate and reduce the look of fine lines and wrinkles. Whichever you choose, these ingenious drops can be added to any liquid beauty product, including moisturiser, serum, oil, foundation, concealer and primer. - Add them to your favourite skin care and complexion products for a customized infusion of skincare benefits. Limit use to once every 2 to 3 days and slowly increase usage, as tolerated. Wear sunscreen with a high level of protection daily. Cool for your cream, cool for your foundation. Calming is totally perfect for sensitive skin.